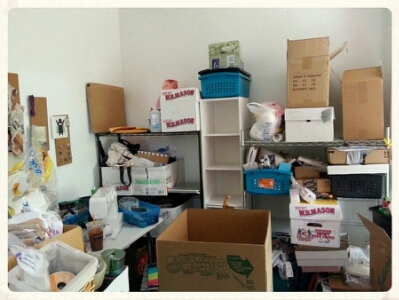 Today I have to finish up packing my craft room. A little overwhelming and a little sad, its funny what hits you hardest about change. I’m getting emotional about this damn place now. Go figure. Anyway! Here’s what I’m working on now. This entry was posted in photo, working on and tagged good times, goodbyes, Saturday morning command center. Bookmark the permalink.